Bicycles became popular during the early to mid-nineteenth-century. Around the same time, Isaac A. Van Amburgh was active as the first circus wild animal trainer. When did the practice of training animals to ride bicycles begin? 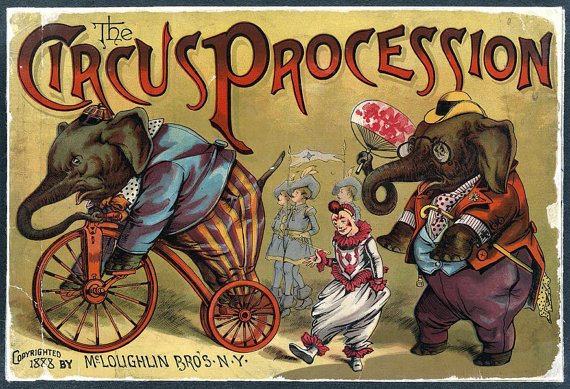 Is there any advertising or art that depicts early examples of this type of circus act? 1903 –– Barnum & Bailey features Volo the Volitant, who jumps a 56-foot gap on a bicycle; he later shares spotlight with Ugo Ancillotti, who performs bicycle loop-the-loop. By the turn of the twentieth century elephants appeared costumed as cooks and clowns in circuses in Europe, the USA and elsewhere. Additional apparatus and props used in elephant acts included musical instruments, bicycles and familiar household objects. Peta Tait: "Wild and Dangerous Performances. Animals, Emotions, Circus", Palgrave Macmillan: Basingstoke, New York, 2011, p75. By the late 1920s, Stark’s tiger act had been a lead act at RBBBC and she had performed in Europe. The petite, blond trainer celebrity was photographed with Mae West – who acted a trainer character – and with the leopard, Sammy, in offstage publicity. 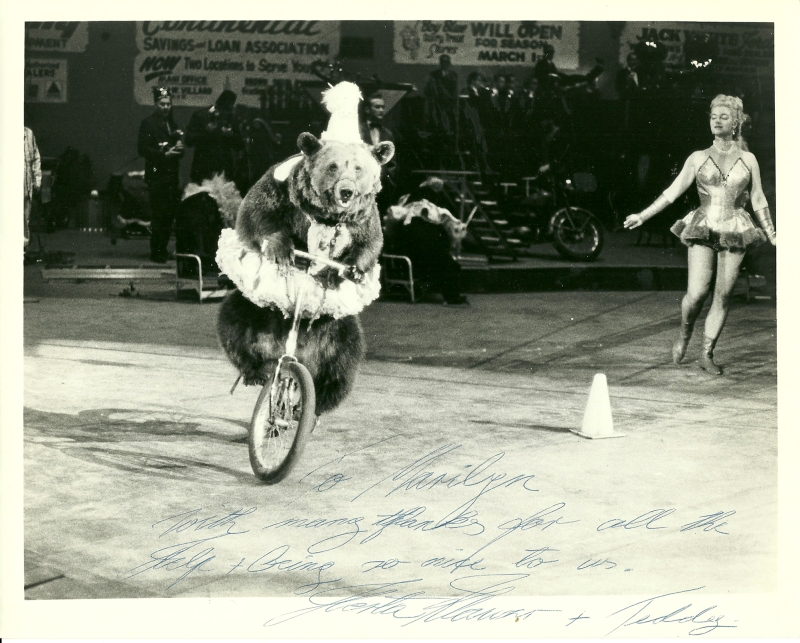 Sammy was a favourite of Stark’s and had performed standing on the back of a horse in the Barnes Circus during 1928–9; he could ride on a bicycle and would ride in a car with her. Circus acts revealed this uneasy, liminal proximity of pigs to human beings. In addition to performing as an ‘‘educated’’ porcine or naughty schoolboy, the circus pig played a human baby in front of unsuspecting audiences. In one enduring act, a clown tenderly nursed a fully swathed ‘‘baby’’ with a bottle. The gentle scene suddenly ended when the baby, now squealing, wriggled out of its swaddling blankets, urinated all over the clown, and promptly revealed its true identity. Such staged encounters perhaps had even greater resonance in an age when the spatial bifurcation of human beings and animals rendered by trains, cars, electric trolleys, bicycles, and other artifacts of modernity was seemingly growing at breakneck pace. Janet M. Davis: "The Circus Age: Culture and Aociety under the American Big Top", University of North Carolina Press: Chapel Hill, London, 2002, p151. 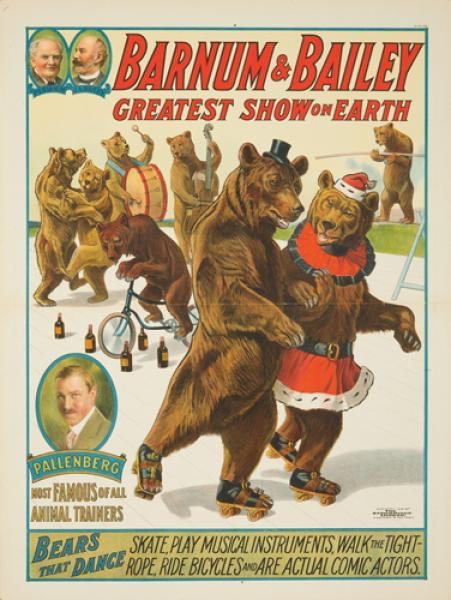 With her husband Emil, Catherine Pallenberg presented a trained bear act from the 1920s to the 1940s. 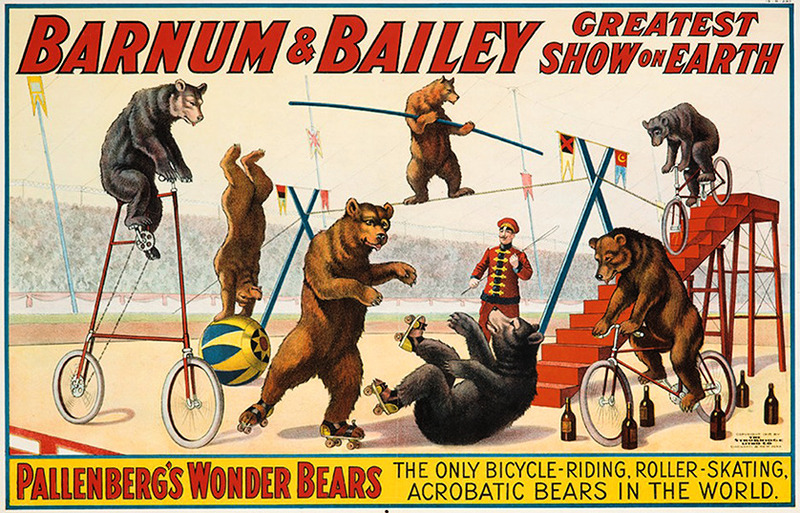 They were the first to teach a bear to ride a bicycle, with a huge front wheel and seat eight feet high, the first to teach a bear to walk a tightrope (“Trainer Reaches Top”). As they did the act, as Earl Chapin May wrote, Catherine wore “silken tights, a silver cloth gown, an elaborately embroidered Russian costume whose cost is in the neighborhood of $2,000,” looking more decorative than controlling though the couple actually worked the animals together (“Why Women Dominate” 9). Katherine H. Adams & Michael L. Keene: "Women of the American Circus, 1880–1940", McFarland: Jefferson, London, 2012, p160. Note that this source focuses on women in circuses, which might account for the slight incongruence in dates. The first of these shows a few years earlier were only with men in the arena. 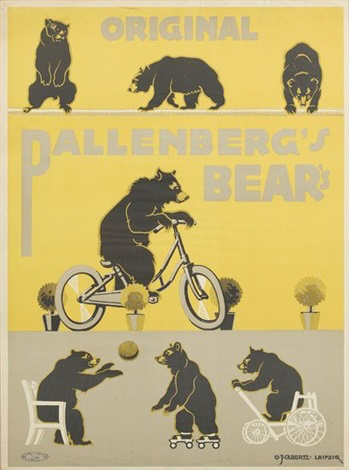 Originally from Germany, Pallenberg’s Wonder Bears started off as an act that presented a wide variety of trained, exotic creatures, eventually settling on “bears only” for reasons of expense. After touring with various European circuses for about 5 years, the company arrived in the United States in 1914 and began playing American vaudeville. 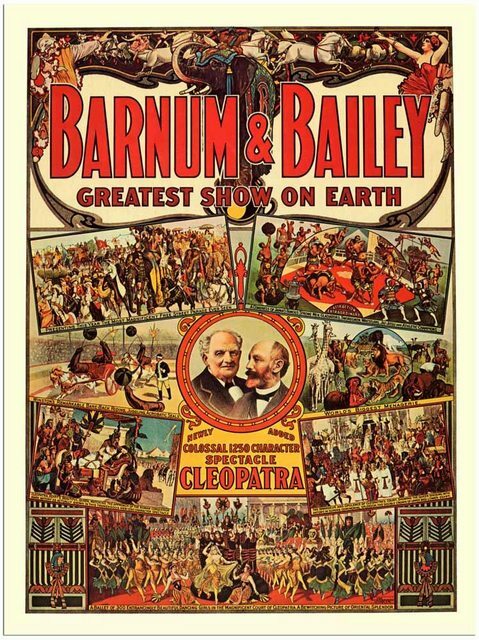 When America joined the war in 1917, vaudeville circuits stopped booking the act (Germans being unpopular just then), but they found work with Barnum and Bailey, with whom they remained for decades (including the period when B & B merged with Ringling Brothers). 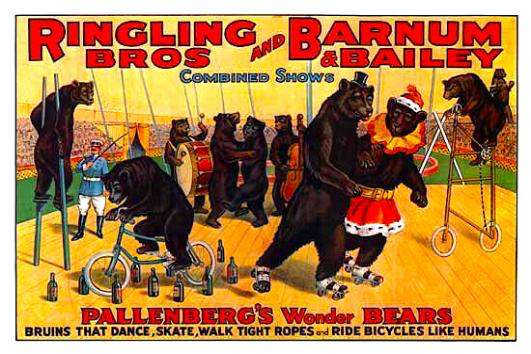 As advertised, the bears danced, roller skated, walked tightropes, rode bicycles, walked on stilts, and played musical instruments. That Wikipedia article states that they started working with bears exclusively in 1910 after their Guanakos were not allowed to enter France for health and safety reasons. They arrived in America in 1914, just at the right time. 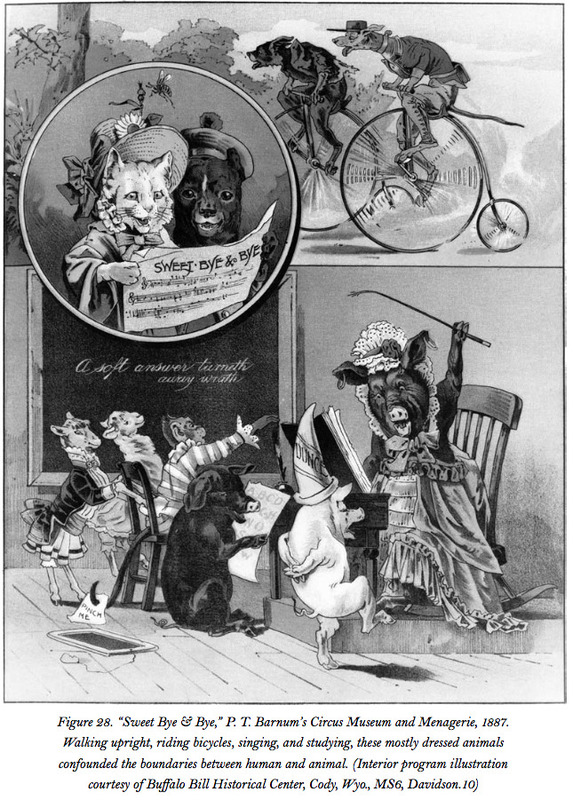 From the sources available it is not entirely clear when they started to show the animals on bikes but the lithographs above are indeed dateable to the 1920s. The crowd at Barnum & Bailey's Circus in Madison Square Garden last night saw what might have been a serious affair turned into part of the entertainment provided for them. 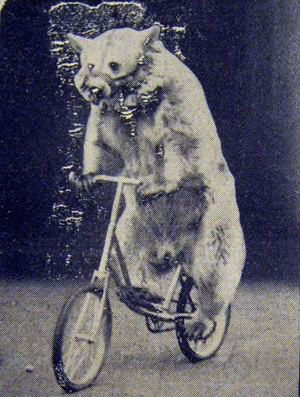 Pallenberg's trained bicycle-riding, roller-skating Russian bears were in the ring and all attention was centred upon their performance. Milukoff, a huge bear, renamed since the Russian revolution, suddenly seized Max Heinrich, an assistant trainer, and, snarling, began to tear off his jacket. Heinrich somehow got out of the mix-up unhurt, but made a quick exit, while Pallenberg quieted the grouchy Milukoff. 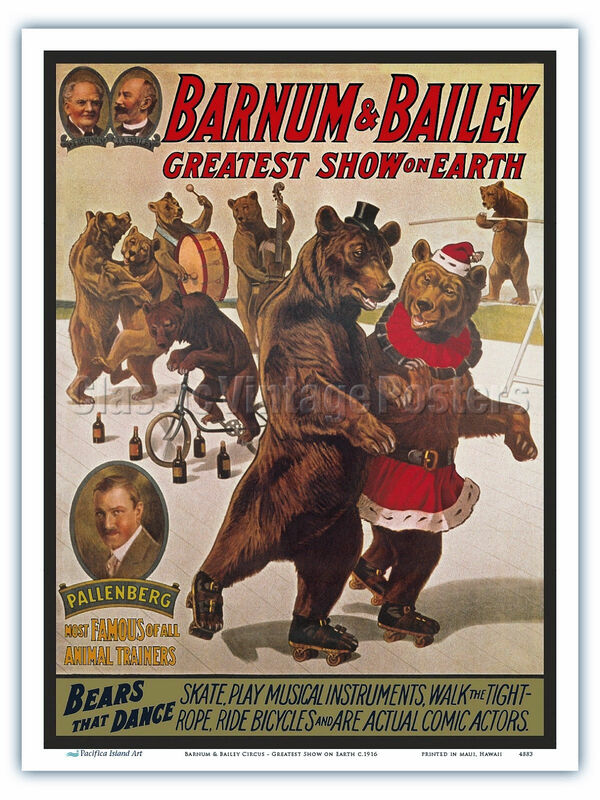 Description While the poster promises that these bears will not only roller skate, but also ride bicycles, dance, play instruments, and walk a tightrope, the true talent is Emil Pallenberg, seen in the bottom left cameo. To this day, he remains the greatest bear trainer of all time. Not the answer you're looking for? Browse other questions tagged art animals popular-culture photography or ask your own question.